ATLANTA – March 7, 2018 – Meb is all in for ATL. 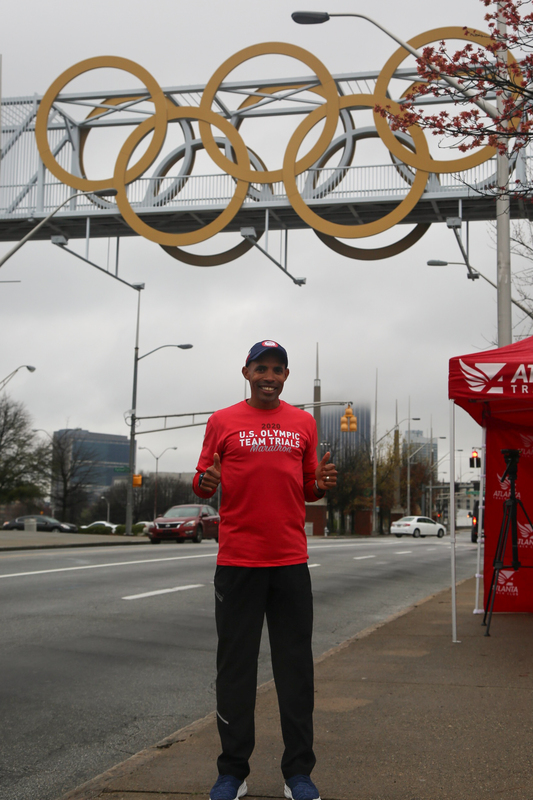 Meb Keflezighi, one of the most decorated American distance runners of all time, endorsed Atlanta’s bid for Olympic Team Trials – Marathon on Tuesday, the same day the site committee that will help select the host location visited the city. Keflezighi, who has represented the United States in four Olympic Games, including three times in the marathon, arrived unannounced as Atlanta Track Club presented the city’s bid to the committee. “I heard Atlanta was bidding for the marathon trials and I want to be part of it,” said Keflezighi as he ran into the board room at the Atlanta Chamber of Commerce to the shock of the visiting committee members. 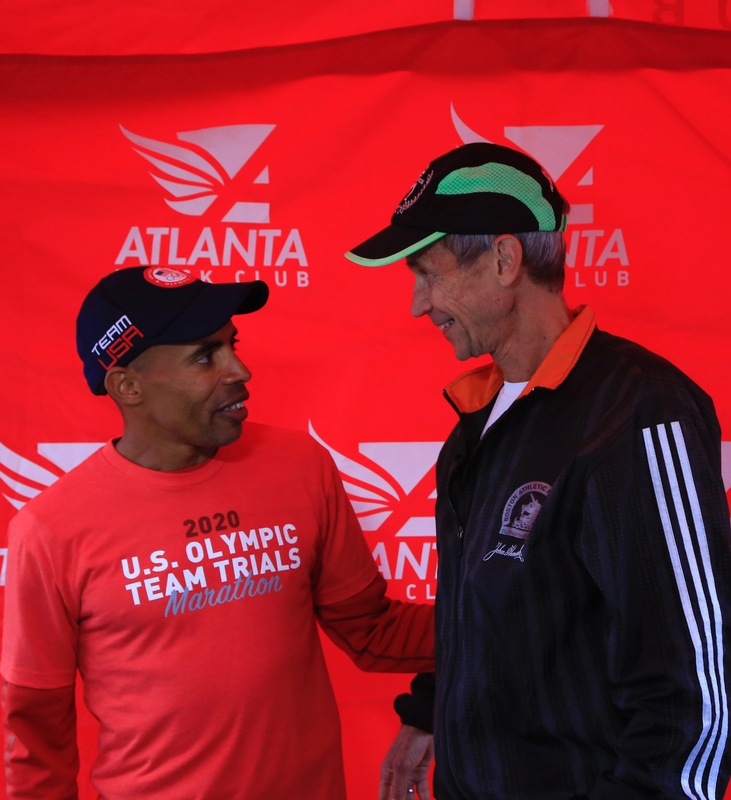 "When I think about Olympic legacy and Olympic future, I think of Atlanta,” said Keflezighi. The 2004 Olympic Marathon silver medalist and 2014 Boston Marathon Champion was a sophomore at UCLA during the 1996 Atlanta Olympics and says he wanted to come spectate, but couldn’t afford the trip from California. Instead, he watched the television coverage from home. One of his teammates went and brought him back a T-shirt which he still owns to this day. Standing under Atlanta’s famed Olympic Rings and Cauldron structure near Georgia State Stadium, Keflezighi looked at the giant rings in awe. “The bid for 2020 makes so much sense,” he said. “Especially when you see those rings. Whenever you see those rings it triggers how you train. It reminds you why you are out there putting in the miles. When it’s raining, it’s snowing or it’s hot, you think, ‘I’m training for a purpose.’” On the course proposed by Atlanta Track Club, runners would pass underneath the rings with approximately two miles to go in the race; one of the last poignant visuals before the top three men and top three women earn their trips to the 2020 Tokyo Olympics. Atlanta is one of four cities bidding for the 2020 Olympic Team Trials – Marathon which would be held in late February of 2020. Austin, Chattanooga and Orlando have also submitted bids. The site committee will make a recommendation to USA Track and Field’s board of directors which is expected to make the final decision in early April.